Deidre's Discoveries: CBB Secret Santa 2016 Gift Exchange! This year for the holiday season, fellow Canadian Beauty Bloggers decided to run a Secret Santa gift exchange! I didn't partipate in the past, but I felt like this year it would be fun to join in. Everyone that wanted to participate, signed up on Elfster. There was a $30 minimum value that was agreed upon, and we all had to send out gifts out by December 10th. On Elfster you can create a wishlist for products you were interested in. We had no idea who would send us our gift, or what we would get, which made it really fun! Oh my goodness! 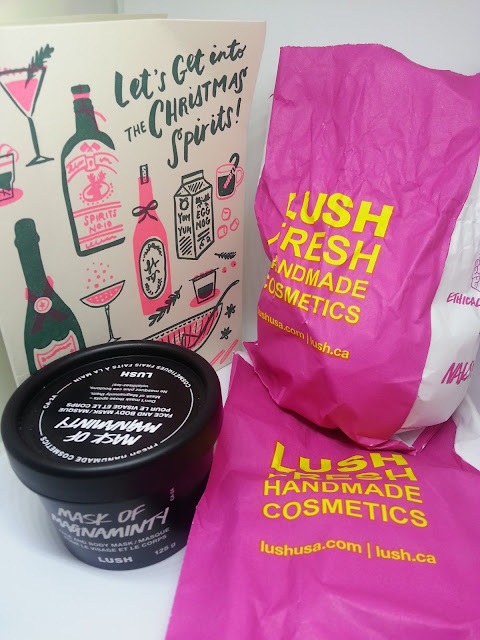 My Santa sent me a bunch of Lush goodies! I love Lush products! I was OBSESSED with this bubble bar last year when I first tried it. It smells so good, and you really do get a good amount of uses out of one bar! It turns the water just a light pink, but doesn't stain the tub. And the scent lingers on your skin! 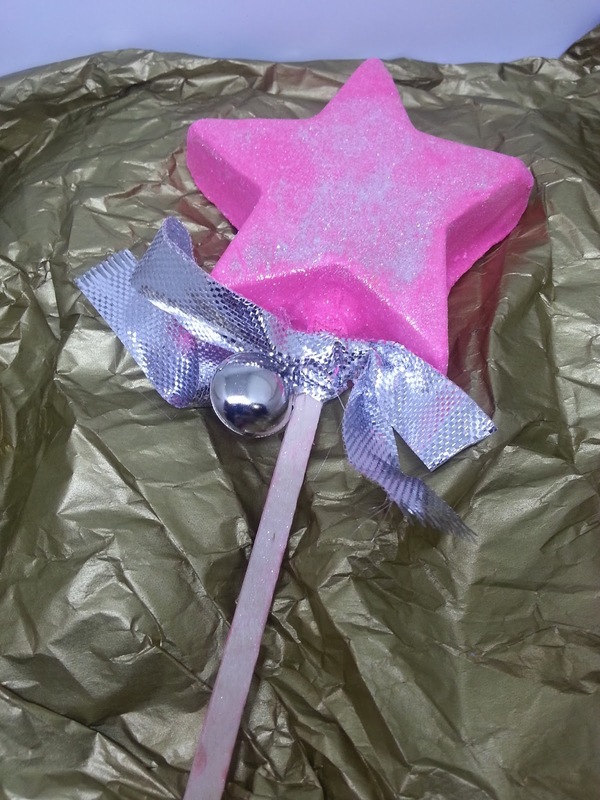 It smells like snow fairy if you are familiar with that Lush scent. This smells minty, and it's wonderful! A light layer is more than enough. My skin felt so smooth and soft after using it, and was not irritated at all. The grounded up aduki beans helps exfoliate the skin but aren't too harsh. This mask has a slight cooling effect, which I really enjoyed! I can't wait to use it again! I had never tried Lush masks before, so this was very welcomed! A Christmas favorite, So White is back again to bring the crisp, fresh aroma of a juicy apple to your tub. 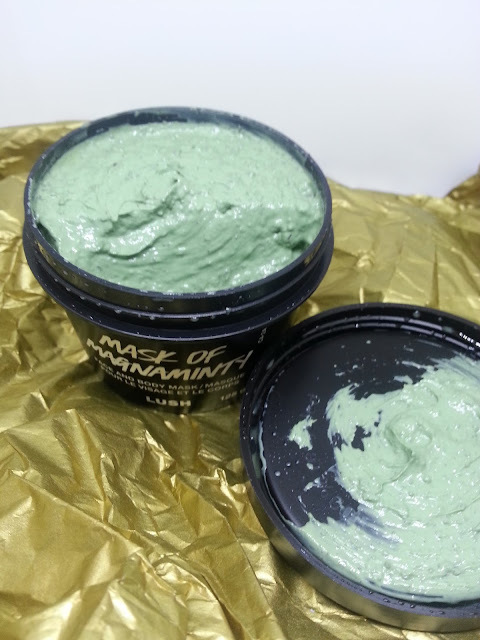 Pop it in the bath and watch it fizz, releasing softening baking soda and the uplifting oils of bergamot and neroli. The white exterior slowly gives way to a secret green center that fizzes and foams, creating a snow-like froth that covers your tub in a glorious blanket of apple-scented bubbles. 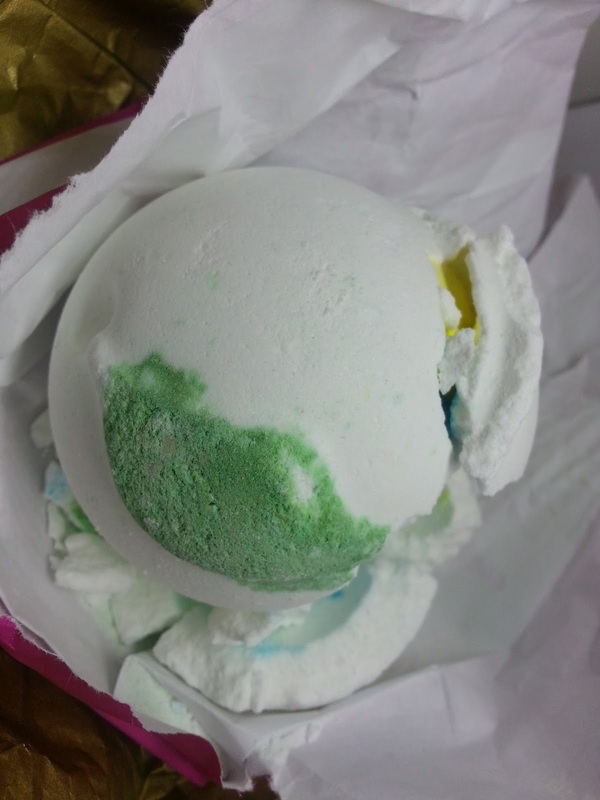 I had never tried this specific bath bomb, so I was excited to give it a try. It smelled SO familiar to me, and I couldn't figure out why. That was until I used my Santa's Belly Shower Jelly I got from Lush last year. It's pretty much the exact same scent. It's so refreshing in the bath! Unfortunately this came broken, but that didn't stop me from using it! 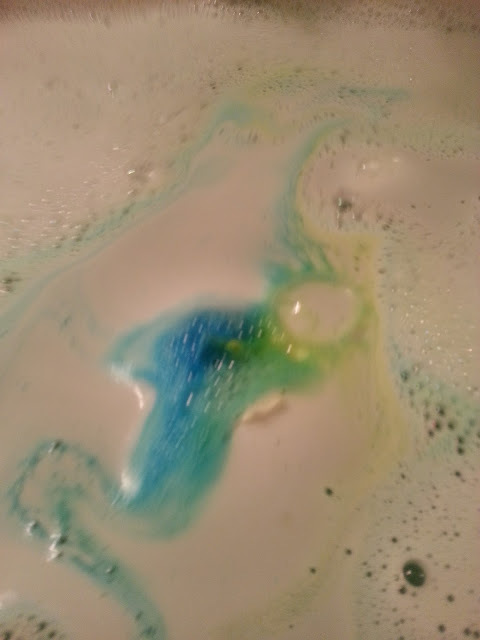 It swirled with blue and yellow, which later turned the bath water green. It fizzed, and bubbled, and it made my skin so soft! This scent didn't last too long on the skin, but while I was in the bath, it smelled great. Very refreshing! Just like crisp apples!